In my opinion, if you don’t like steel drum music then you don’t have a fun bone in your body. As one of the biggest steel pan music enthusiasts, I’ve prepared a top 10 list of steel drum albums that I most frequently annoy my friends with. 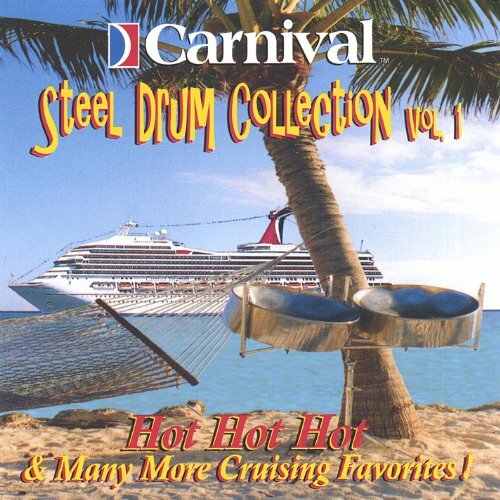 Honestly, I can’t imagine a beach party or wedding without a quality steel drum album. You can even find some of your favorite songs covered in this style. One of the best ways to cheer myself up is to blast steel music covers of my favorite hits on my way to work. That’s why I made the list of the best steel drum bands I’ve heard so far and the albums with both original and cover songs. 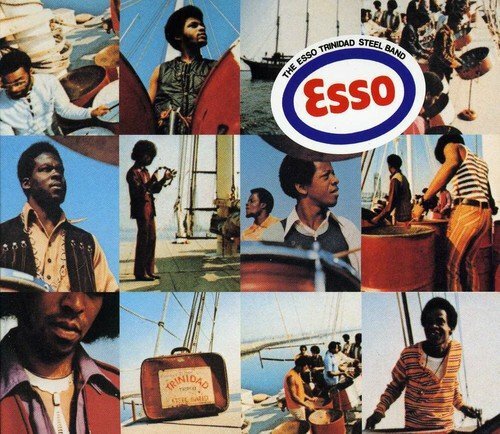 The Esso Trinidad Steel Band was a steel band from Trinidad that has been making steel band music from 1942 to 1976. Their self-named album, being also the most successful one, contains 12 great tracks of steel band music. Some of those tracks include steel covers of famous hits like Jackson Five’s“I Want You Back” or Simon and Garfunkel ‘s – “Cecilia” and “Aquarium”. As fun as its name may imply, Pirates of the Caribbean Steel Drum Band has made tons of fun Jamaican steel music tracks over the years. Released in 2010, this album contains 31 modernized steel music tunes, mainly influenced by Jamaican reggae and calypso music. If you like steel drum band music with modern, Jamaican rhythms, then Pirates of the Caribbean Steel Drum Band might be right for you. This vintage album from the mid-1970s (Remastered 2010) is one of the classics of steel drum music. 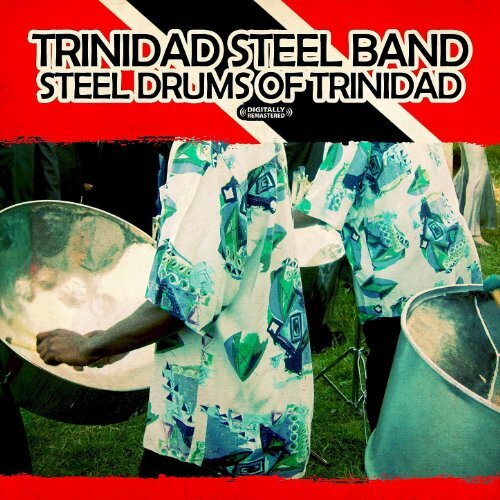 Trinidad Steel Band cherished authentic old-school Trinidadian steel drum sound and released a 15-track album called “Steel Drums of Trinidad”. 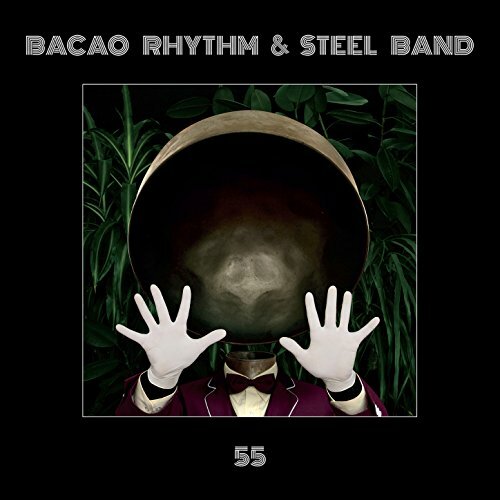 Long awaited album “55” by Bacao Rhythm & Steel Band is an example of what happens when a German multi-instrumentalist gets captivated by steel band music. 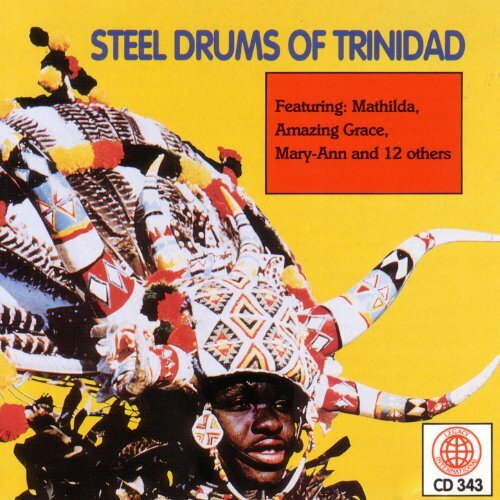 The 16-track album is a unique blend of Hip Hop, Soul and Funk sound combined with the traditional steel band music of Trinidad. A perfect combination of original music and innovative covers, “55” is guaranteed to be an instant hit with everyone listening to it. 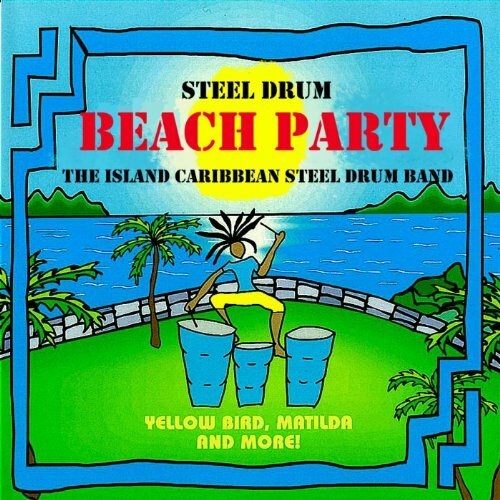 If you want to experience some of the most popular songs done with the steel drum music, you are going to like The Island Caribbean Steel Drum Band’s album “Steel Drum Beach Party”. You can relax and imagine like you are on vacation when playing this 26-track combination of steel drum music covers, including the tracks from bands like The Beatles, Beach Boys, Joe Cocker, and many others. The Carnival Steel Drum is one of the most popular bands making steel drum music. Here is their 2004 release of 14 popular song covers done in reggae steel/drums style conveniently named “Hot Tropical Party Favorites”. This is a great album for creating a summer party atmosphere with your guests. Even if they are not fans of steel drum music, they will still recognize famous songs and have lots of fun. Here’s another classic piece of steel drum music by The Carnival Steel Drum Band that will put you in a good mood instantly. Just as it names says, it includes the song “Hot HotHot” as well as 9 other popular covers done in steel drum music style. You can find some of the greatest feel-good hits on it like “I Can See Clearly Now”, “Jammin”, “La Mamba” and others. 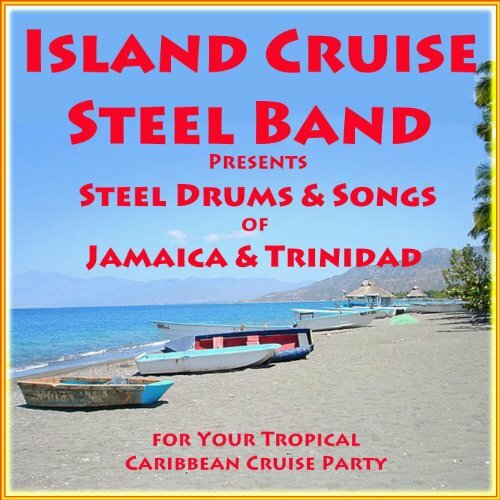 A perfect compilation of party and cruise steel band music is coming from a band called Island Cruise Steel Band. This album is absolutely wonderful for island themed parties or to listen to and dance with any time. 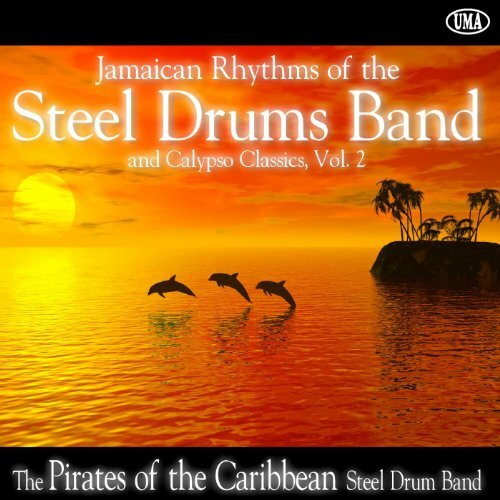 This fun tropical album released in 2011, will make you feel like you are on a tropical cruise with its 20 amazing steel band music adaptations of popular songs. 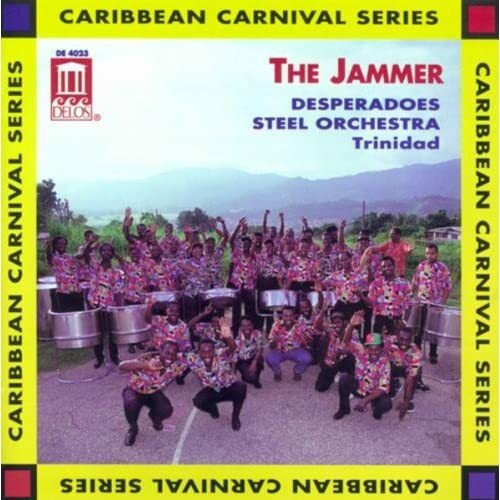 This is a modern rendition of a steel pan music classic “Steel Drums of Trinidad” album by a band called Jamaican Steel Band. They’ve put their unique twist on the original 15 covers and showed great passion and enthusiasm in performing steel pan music. Enjoy some of the best classic steel music covers recorded with better technology. Rich in melody and rhythm, Desperados Steel Band makes some of the best steel pan music out there. The long and fun jams and amazing covers on their “The Jammer” album released in 1993 will provide you with the background party music you can’t go wrong with. I’m sure that you are going to love their version of Toto’s “Africa”. Remember, these are just my personal suggestions, I don’t claim they are the absolutely the best ones. That’s for you to find out and I’m going to help you with it with a few tips on how and where to buy good steel pan music albums. Reading reviews – In general, it’s always sound to read reviews and comments of others, no matter what are you buying. When stumbling upon an album, make sure to check for reviews on online shops and review sites, and also to check comments on their YouTube channel if they have it. You can find a lot about it this way. Pre-listening – Most of the time, the best way to check something out is to try it yourself. Luckily, in this digital era, it’s easy to take a sneak peek into an album or a song and see if you are going to like it. Many online music shops like iTunes or Amazon allow you to listen up to 30 seconds of a track before buying it. Buying from reputable artists – Although, this doesn’t have to always be true if an artist has a lot of albums it means they are doing something right, as people want to hear more of their music. So it’s always good to check artist’s other work and his background to learn more about the music he makes. Where to buy good steel drum music? There’s little chance you are going to find some good steel drum albums near you. Luckily, there are a lot of easily accessible resources online. If you have an apple product like iPhone or iPad, you can always check iTunes. In my experience, Amazon has shown to be the best source for this. They have perhaps the most extensive selection of steel drum albums and bands and you can preview almost every song. The great thing about Amazon is that besides purchasing individual digital songs or albums, you can also buy a physical copy in a form of CD or even vinyl in some cases. I hope this has been an informative and fun read to you as it was fun for me to write it. Have in mind that these choices are subjective. Even though I have years of experience with steel band music, you mind find some others that you like better, which is also great. My main goal is to bring this wonderful world of steel drum music closer to you.